Guillermo J. Beades, Esq., is Senior Counsel in Frier Levitt’s Healthcare Litigation Department. Guillermo represents healthcare professionals in a broad range of administrative, civil and criminal healthcare matters. Guillermo has extensive litigation experience before state licensing authorities and Medical Boards (e.g., NJ BME, OPMC), federal healthcare agencies (e.g., OIG, CMS, DEA) and state healthcare agencies (e.g., NJ Medicaid Fraud Division, NY OMIG). Guillermo has represented practices and healthcare professionals in matters concerning credentialing and denial of privileges, administrative discipline, Medicare audits, post-payment demands and pre-payment audits. Guillermo also represents healthcare professionals in criminal and civil white collar defense matters, including matters alleging Medicare / Medicaid Fraud and violations of the Anti-Kickback Statute, False Claims Act, Codey Law and Stark. 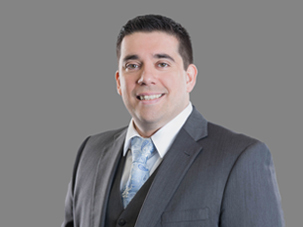 Guillermo has been selected to the New Jersey Super Lawyers Rising Stars list in 2015 – 2017.